Copyright © Jeffs4653 on Flickr. All rights reserved. 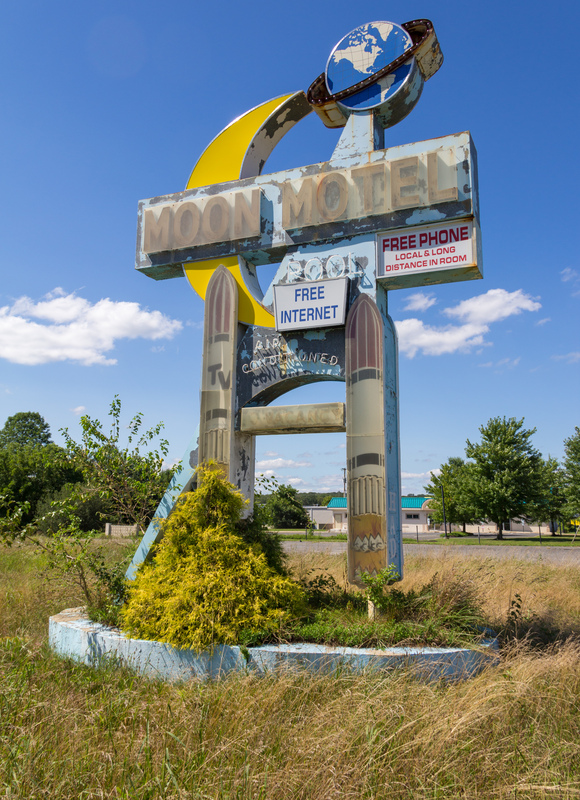 Once one of the United States’ greatest signs, the Moon Motel rockets are in great danger of disappearing forever. 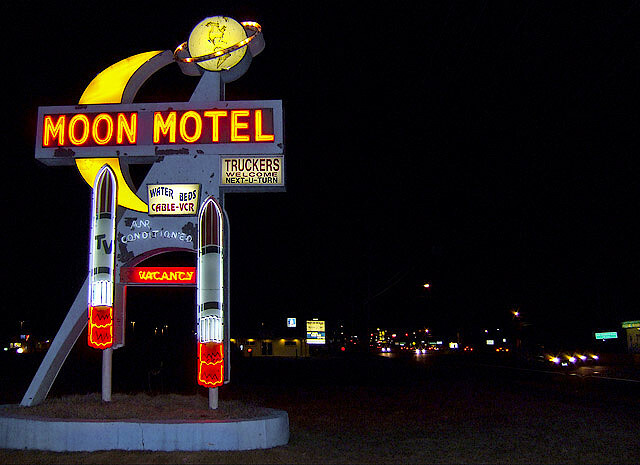 Built in 1966, the Moon eventually became a low-rate "extended-stay" motel where any glory beyond the Space Age sign had been lost long ago. In March 2013, a fire broke out and damaged most of the motel — likely aggravated by the fact the smoke alarms had all been intentionally turned off. The building has since been demolished but the sign remains…for now. With the property being within an area of fairly prime commercial real estate, many with a mind for preservation fear the sign could come down any day. This sign was certainly a real beauty in its prime. Here is a small photograph of what it looked like in better days. Posted in 1960s, Retro/Vintage, signTagged abandoned, Americana, closed, Cold War, decay, decayed, decaying, defunct, endangered, neon, photography, Route 9, rust, rusted, rustingBookmark the permalink.